A Day Designed Just for Women – All We Need is You! Wow! Our Dauphin County women’s expo was recently held at the Hershey Lodge and it was fantastic. The event was jam-packed with smiling women who enjoyed this wonderful experience with family and friends. In fact, many times it turned out to be three or four generations in a group! I love talking with guests at our events, and all of the women said they were having such a nice day. They commented on not only the great selection of vendors, but also their friendliness, the chance to learn about new products, and that they were glad many vendors were cash and carry (we love immediate gratification). The stage audience seemed to enjoy every demonstration, from the fairy gardens by The Home Depot and the cooking demo by Dawson Flinchbaugh of Flinchy’s Restaurant (who had the audience wide-eyed when he lit his dish on fire to burn off the alcohol), to the stylish outfits that Creative Elegance Boutique featured during the fashion show. Not to worry. 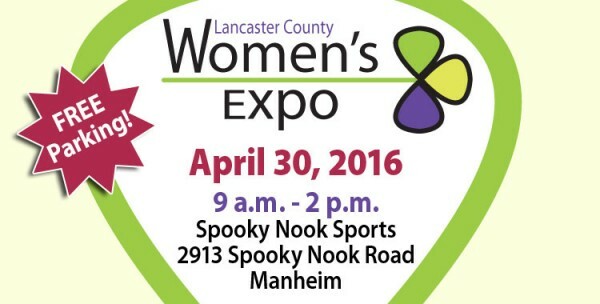 The Lancaster County women’s expo is returning April 30, 2016, at Spooky Nook Sports, 2913 Spooky Nook Drive, Manheim, from 9 a.m. until 2 p.m. There will be cash-and-carry products at this event as well. Treat yourself to something, and save time and pick up your Mother’s Day gift while you’re at the expo. 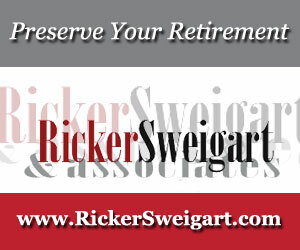 With such a wide variety of vendors, you’re sure to find a very special present. Relax and enjoy hair blowouts, haircuts, mini manis, and makeup touch-ups. Look for the Bella Oasis by Bella Voi Hair and Nail Studio or the Pamper “U” Zone by the Lancaster School of Cosmetology. Skinnygirl® will be offering product samplings to guests 21 and over. Taste the skinny in Skinnygirl®. A delicious cooking demonstration will be given by Tim Ardinger, Koom Essen, The Pennsylvania Dutch Cooking Show. He’s going to talk about some traditional Pennsylvania Dutch pies and pie baking. He’ll roll the crusts and assemble the pies, ready to bake. Oh, and he’ll even have samples. Mmmmmm. In the hall on the way to the expo area, take notice of the amazing artwork in Gallery Row by Friendship Heart Gallery, an extension of Friendship Community. This organization is a Christian ministry cultivating capabilities of individuals with developmental disabilities. 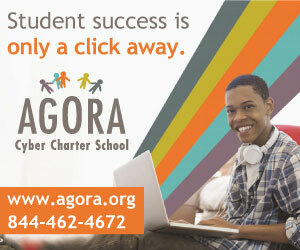 Some of their works of art will be displayed and sold, and students will be painting new pieces onsite as well. Emily Mitchell, owner of Lancaster Cupcake and a finalist on Food Network’s Cupcake Wars (sweet! ), will demonstrate different tips and techniques in cupcake decorating for all ages and skill levels. Plus, there will be a sample decorating party and live cupcake-decorating demonstration. Jodie Morris with Stauffers of Kissel Hill will demonstrate how to use thrillers, fillers, and spillers to make your container garden anything but ordinary. You may even be the lucky attendee to take home Jodie’s demonstration container garden. Of course there will be a fashion show! Christopher & Banks will be highlighting some of their spring and summer trends that will be popping up all over town. Sponsors of the Lancaster County women’s expo include Advanced Vein & Laser Center Lancaster, Heritage Floors, Blossom Med Spa, Jackson Siegelbaum Gastroenterology, 96.1 SOX, The Big I 105, Blue Ridge Communications, LCTV, WARM 103.3, WDAC, WFYL, WHTM abc27, and WJTL. Exhibitors are eager to speak with you about their goods or services that touch just about every facet of a woman’s life, including health and wellness, fitness, travel, home improvements, finances, and entertainment. So much to see and do! Come early; stay long. Relax and enjoy yourself at the women’s expo. It’s a great way to spend your day.